The full range of orthodontic options are offered at Mossley Dental Care and one of the most popular options is Invisalign. Some people are lucky enough to be born with perfect teeth, but for the 48% of the population who are unhappy with their smile, Invisalign provides a great solution. As an adult you can be put off getting dental treatment because you’re worried about how intrusive it will be. Comfortable, clear and removable, Invisalign has been designed to suit your lifestyle. Invisalign stands out from its dental competitors because there are no wires or brackets on the braces, which means that they are practically invisible. As these braces aren’t fixed to your teeth, you can remove them when attending an important event and for brushing and eating. Unlike other dental solutions, Invisalign can straighten anything from overcrowded teeth and cross bites to wide spaces in your smile. Although the majority of dental issues can be fixed with Invisalign, to check that this is the most efficient treatment our dentists will take an impression of your teeth. From this impression a detailed treatment plan will be made using the ClinCheck. This programme is exclusive to Invisalign and provides a 3D simulation of the movements that your teeth will go through and most importantly, allows you to see the final result of your treatment before you start. Based on the desired outcome for your teeth, ClinCheck will accurately translate Mr Winston’s instructions onto a series of precisely customised aligners. During the treatment, you’ll be given new Invisalign braces on a bi-weekly basis that are designed to move your teeth gradually toward the final position. As with any dental treatment, the time it takes will vary depending on the complexity of the straightening issue. 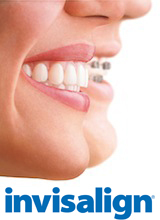 Invisible, comfortable and removable, Invisalign is the best treatment to ensure your perfect smile. You can put your faith in Mossley because we have over 25 years of experience in creating perfect smiles for our customers. We understand that having an imperfect smile can really affect your confidence, which is why we strive to offer competitively priced treatments to those in the Greater Manchester area. We are registered with the Quality Commission and were recently accredited with the British Dentistry Association’s ‘Good Practice Scheme’. Lately, Mr Winston has taken a post graduate degree which enables him to offer you up to date advice and provide you with all of the possible solutions which we have available. If you’re interested in the Invisalign treatment, you can come into our practice for a free consultation to help you make the right decision on braces. We know that having braces as an adult can be inconvenient, which is why we offer the most discreet and comfortable options to suit your lifestyle. After your treatment we make sure your smile dazzles by giving you a free whitening kit to take home. At Mossley we offer innovative orthodontic treatments so that no one feels ashamed of their smile. So don’t be one of the 48% of the public who thinks people make judgements by the look of their teeth call ourpractice for a free Invisalign consultation today.